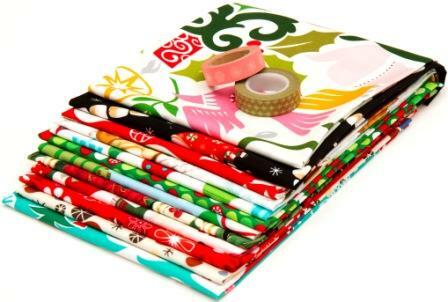 Two of my favorite places, Craft Gossip and ModeS4u, are having a giveaway featuring a bundle of 12 Kawaii Christmas fabrics (fat quarter sized 50cm x 50cm) and some Japanese washi tapes. If you are not acquainted with Craft Gossip and/or Modes4U you are missing out on so much! Follow the links and check them out. The Craft Gossip link will take to the giveaway and the ModeS4u link will take you to their web site (you'll love it, I promise). 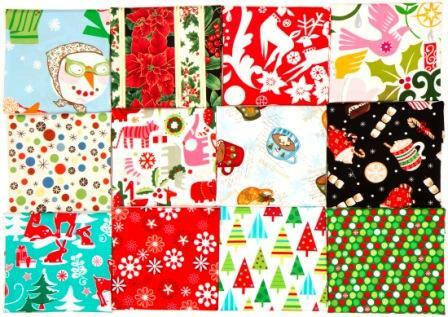 There you have it and oh yeah, look here at the pretty fabric you could win! But, you need to know, I'm in the drawing for it too, :) !